"We're on our way," Transport Minister Marc Garneau declared after stepping off the battery-powered, 10-passenger Ligier EZ10. 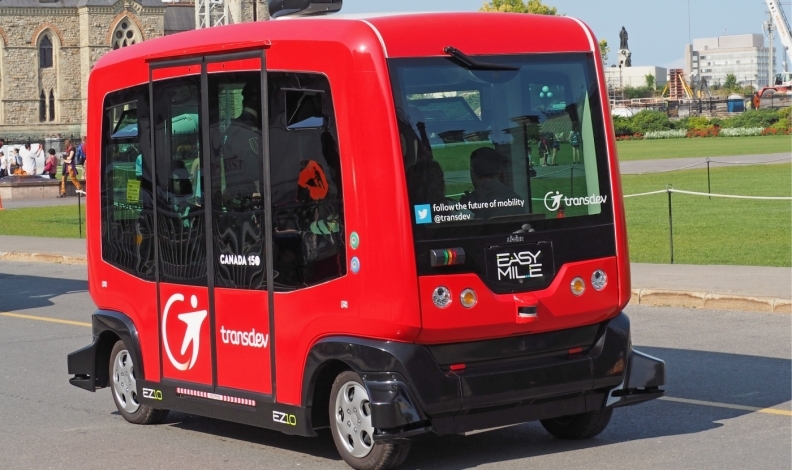 OTTAWA -- Transport Minister Marc Garneau says his ride around Parliament Hill in a driverless bus Wednesday was a proof of Canada's progress toward autonomous transit. "We're on our way," Garneau declared after stepping off the battery-powered, 10-passenger Ligier EZ10. Perhaps not rapidly, however, given the Roomba-like pace of the EZ10, which inched to a halt for every tourist strolling across its path. But other efforts to secure Canada's place in the worldwide rush to driverless vehicles are gaining speed. A Senate report meant to shape regulations for autonomous transport will be released in December. Garneau has pledged $50 million in funding to put those regulations in place. And Canada’s BlackBerry QNX and other companies are testing driverless cars on public roads in Ontario, the first province to follow the lead of California, Michigan and other states in allowing trials in traffic. There was no Canadian connection, apart from the passengers, to Wednesday's demonstration organized by two French companies, transit operator Transdev and AV marketer EasyMile. The EZ10, sticker price US$300,000, was shown off in Montreal earlier this year and is already in daily use on university campuses and other closed road networks in Europe and Asia. "It did what it was supposed to do," said Senator Art Eggleton, another passenger on the Parliament Hill circuit. "It was fun to see it working." In public hearings, Eggleton and other members of the Senate's transport and communications committee have heard of numerous issues – from safety to privacy protection to economic upheaval – surrounding the arrival of autonomous vehicles. He said the committee is closely watching the efforts of U.S. legislators who are moving quickly to draw up their own AV standards.